As building regulations tighten and sustainable building moves further into the mainstream, the building materials sector has been in a frenzy to get on the bandwagon. Greenwashing has of course been with us for years, and takes many forms. Prefixes like ‘eco’ and ‘enviro’ pop up behind established brands, while promotional literature moves away from product imagery to generic shots of blue skies and rolling hills. Advertising copy gets selective — the Forest Stewardship Council (FSC) certification might only apply to the veneer, and not the core timber, while what has always been standard practice can suddenly get pushed out into the limelight, re-invented as a green innovation. You get vague, unverifiable claims, while the world ‘natural’ pops up everywhere, as if naturally occurring substances (eg asbestos, formaldehyde and arsenic) are universally good. Despite the introduction of a raft of advertising standards across jurisdictions in order to try and combat the spin and encourage the science, the central problem here is that the main source of information on most of the building materials that we use are the companies that make them – meaning the companies promoting genuinely greener materials can get lost in the marketing noise. In this part of the world, there are almost no statutory obligations to monitor, let alone curtail the environmental impact of the building materials we use. Regulation has concentrated on the energy needed to run the building rather than the energy needed to build it, and there were good reasons for that. Our building stock could only be made habitable by burning a lot of fuel. Now however, as the regulations tighten and the process of breaking the fossil fuel habit becomes entrenched, the embodied energy in our buildings [ie all of the energy associated with the manufacture of the building materials and construction of the building] has come into sharp focus. Looking at Part L of the Irish building regulations and taking the 2005 regulations as a baseline, the first wave of reform saw a 40% reduction in operational energy [the energy used for heating, cooling and electricity] in 2008, followed by a 60% reduction from that same baseline in 2011. Changes to the energy performance standards in the UK (under separate versions of Part L in England and Wales, Part F in Northern Ireland and Section 3 in Scotland) have so far been less dramatic, but profound change is coming: under the EU’s energy performance of buildings directive, all new buildings must be nearly zero-energy by 2021. As operational energy reduces, embodied energy — as a portion of the total energy the building will consume over a sixty year life — climbs steadily higher. Goggins and his team at NUI Galway have explored a wide range of local and international studies in their research. To make things simple, he zones in on one – a 110 square metre cavity wall house. There is, he points out, quite a bit of variation within these figures, depending on the sources of operational energy and the materials chosen in construction, but the trajectory is unambiguous. “The key message here is that as you move towards more energy efficient building in terms of operational energy, the percentage of embodied energy gets more significant,” he says. Moreover, these figures make some pessimistic assumptions about where the energy to heat and cool our buildings will come from over the next sixty years. As the grid decarbonises, the proportion of energy that comes from fossil fuels will continue to decline, thereby forcing up the relative proportion of energy expended in construction. Against this backdrop, the case for regulating exactly what goes into the buildings we build becomes compelling. In the UK, the civil engineering sector has started to address the issue. Craig Jones of Circular Ecology says that all new water infrastructure must undergo a whole-life embodied carbon assessment, while new rail developments over a certain size must measure their embodied carbon impact. There’s no equivalent in the buildings sector. Certification programmes like Breeam offer points for completing life cycle assessments and reducing the environmental impact of a building, but there is, as yet, no statutory requirement for such work. 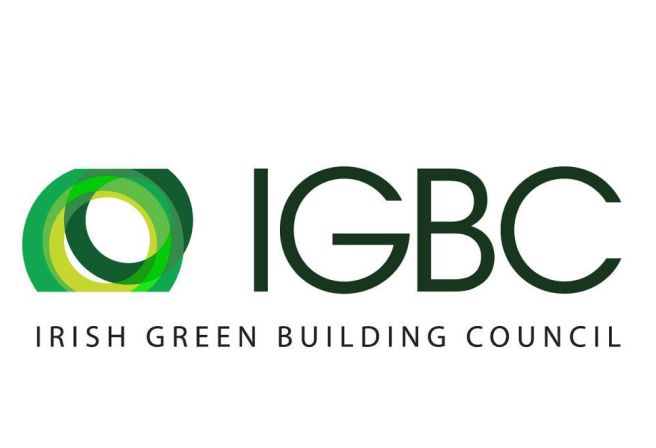 Even the voluntary codes have drawn criticism from within the green building sector. 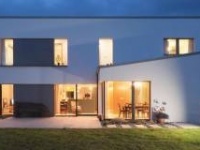 The BRE Green Guide to Specification, which is used as a means of gaining credits under the Code for Sustainable Homes, has come in for a lot of negative attention. 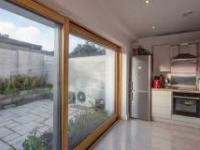 The Alliance for Sustainable Building Products (ASBP) in the UK has issued a lengthy critique of the guide, pointing to, among other things, its lack of transparency. At a European level, CEN/TC 350 is the committee responsible for developing standardised methods for the assessment of the sustainability aspects of buildings and civil engineering works. In recent years, it has put much work into developing assessment methods for construction materials, and in particular, developing core rules for the development of Environmental Product Declarations (EPDs) for construction products. An EPD is essentially a standardised document which quantifies the life-cycle environmental impact of a particular product or system. Each one is independently verified and registered, and breaks down the impact of that product or system across a range of categories, including global warming potential, ozone depletion, acidification and eutrophication. It’s important to say that having an EPD doesn’t mean that the product in question is in any way superior to its alternatives. Rather, it cuts a swathe through the greenwash and describes the environmental impact of that product in precise, scientific terms. Databases of EPDs are slowly becoming the gold standard in Europe, superseding earlier data sets which captured only the embodied energy and carbon of building products. We’re also seeing the beginnings of regulation around life-cycle energy, and here too, EPDs are playing a central role, particularly in the Netherlands, where a statutory framework for reducing the environmental impact of buildings is at a more advanced stage than anywhere else in Europe. This regime facilitates the accumulation of a wide range of data, which, it’s envisaged, will lead to the development of a series of ECI benchmarks for different categories of building. 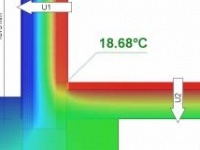 From there, it will then be possible to encode minimum values into the building regulations. At a national level in the Netherlands, much of the work has centred on building the databases which will inform the design of whatever policy is eventually settled upon. Stadhouders explains that ‘category one’ data was essentially first generation data gleaned from work done by some sectors, including concrete, to measure the environmental impact of its products. This data, while it fell short of the standards set by EN 15804 – which governs the development of EPDs – provided the authorities with a baseline dataset with which to begin assessments. “Then they asked different industries — wood, cement, gravel, glass and so on – to compile an EPD for the whole industry. This phase took about two years to complete, and gave the ‘category two’ data, which was validated data under the EN 15804 determination method, even though it was not producer specific.” The third and current phase comes with the publication of validated, product-specific EPDs. This is the most detailed dataset yet and comprises ‘category three’ data. The authorities in the Netherlands are now in the process of phasing out that first database, by introducing incremental penalties for the use of category one data, thereby incentivising the industry to adopt a more scientific way of measuring the environmental impact of the materials it uses. 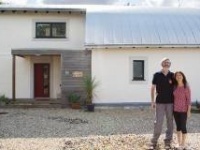 In Ireland and the UK, the political climate for improved environmental regulation may have soured in the last few months, with the scrapping of the zero carbon homes plan in the UK, while in Ireland, political pressure has been brought to bear on a local authority that has sought to make the passive house standard a minimum for new buildings. So there would seem to be little prospect here for improved regulation of embodied energy and carbon in buildings. He also points out that Breeam and Leed, two of the leading green building certification programs, award credits just for having an EPD, creating further competitive pressure. Already, a broad number of product manufacturers – including many whose wares are advertised in these pages – have either acquired or are in the process of preparing EPDs for their products. He points out however that the advent of building information modelling, or BIM, holds out the prospect of mitigating the administrative burden that a fresh layer of regulation would add to a sector that has had to deal with a lot of additional regulation over the past decade. BIM is all about creating a comprehensive digital representation of a building. As EPD databases become more comprehensive and BIM software more powerful, it’s possible to envisage a time when making the calculations needed to establish the life cycle environmental impact of a building will become much simpler than they are today.